Working class people and small business owners have a difficult time determining the amount of money required for their retirement. After retirement, people do not have any source of income, and they have to live with the available funds. These funds should be sufficient to cater to all kinds of needs, such as medical, living, clothes, food, travel, etc. Hence, you should ask yourself a number of questions in order to determine how much you need to save for your retirement. This article gives a few guidelines in this regard. Will you have to change your lifestyle after retirement? If you are a person who prefers simple living conditions, you need not save too much money for your retirement. Many people are forced to live a simple life due to the deficiency of funds. Hence, you should decide what kind of lifestyle you want to have after retirement and save up according to that. In addition, since you will have much free time, you should engage in some hobbies to earn a little extra during retirement. The period of your retirement depends on your age. Most people retire for fifteen to thirty years. Hence, you should find out if your income source lasts until the end of your life. This is a difficult decision too, as the factors like inflation have to be taken into consideration. Most people find it difficult to sit idle after retirement. Hence, you should make a plan about what you will be doing. You could create a list of things that you would like to do and pinpoint certain activities from that. Most of the time, the activities that you do during your retirement may generate an extra income for you. You may notice that your income comes from two distinct sources after your retirement. The first source is your employer. You are lucky if you are part of a company or an organization that provides great benefits to retirees. Government organizations provide maximum retirement benefits to their employees. 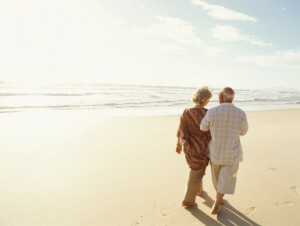 The number of organizations that provide great retirement packages is going down drastically. This first part of the income is fixed and guaranteed. The second source of your income is not fixed, and it may come from some of your activities or businesses after retirement or your investments. While the first part of your income is not in your control, the second part usually is in your full control. Hence, make sure you manage those funds as efficiently as possible. After retirement, people generally find their expenses to be slightly lower. Most people have mortgages on their properties and vehicles, but around the time they retire, these items may be fully paid off. People tend not to have any outstanding debts when they retire. Hence, money management should be quite a bit easier due to lowered expenditure. However, certain other expenses, especially medical expenses, may increase after retirement. In addition, if you are getting nursing care for yourself, it may cost you a considerable amount of money. Some amount of money may go into traveling, insurance, taxes, gifts, etc. Due to all these expenses, you may need a good income during your retirement too. Another important aspect is related to the location you are planning to retire to. If you are retiring to an urban area, the expenses may be high. Many people tend to retire to a less expensive area after selling their houses and other properties. You should determine whether you want to live in the city or a calm suburban area and take into account the cost of living of your chosen location. It is a difficult thing to decide how much money you will need after retirement. Additionally, determining where you will live and what sort of life you will have are important things. You have to find something to do and have an active, social lifestyle after retirement. For this, proper funding is a necessity. « What You Need To Know About Florida & Capital Gains.